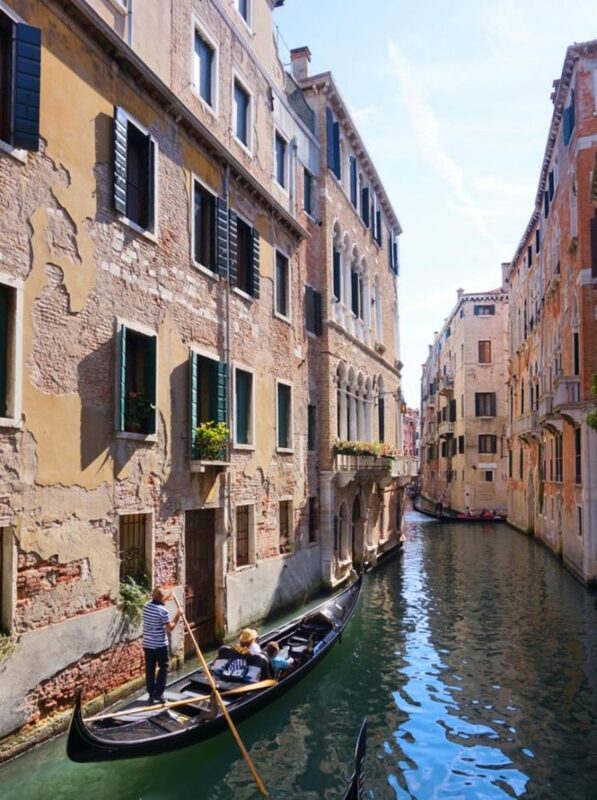 The best way to see Venice and to escape the crowds is to get totally lost! Literally putting down your map whether thats a map on your phone or a paper map and just wander! Ok, well that was a quick post! But honestly, Venice gets such a bad rep for how busy it gets and having visited in mid-September once the European summer holidays were over and arriving to a very busy Venice I can only imagine how busy it gets June-August and why it gets such a bad reputation for it! The thing I found with Venice is that’s it’s actually quite big and because all of the streets are so tiny (literally some of them are so small!) 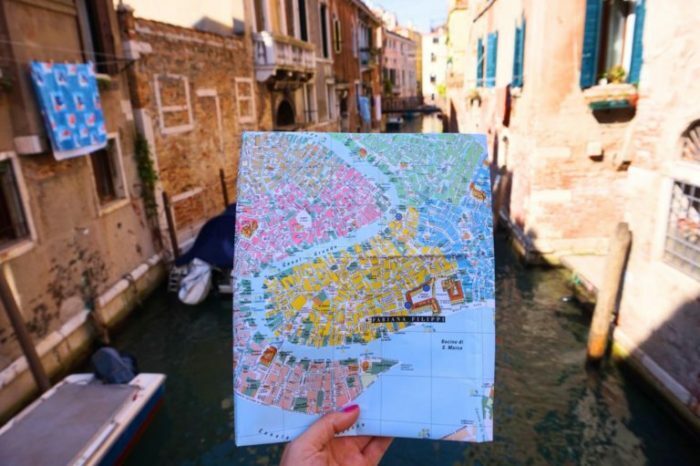 there are actually so many of them so it is certainly possible to escape the crowds and explore Venice the right way, so here’s a few tips on how to do it! 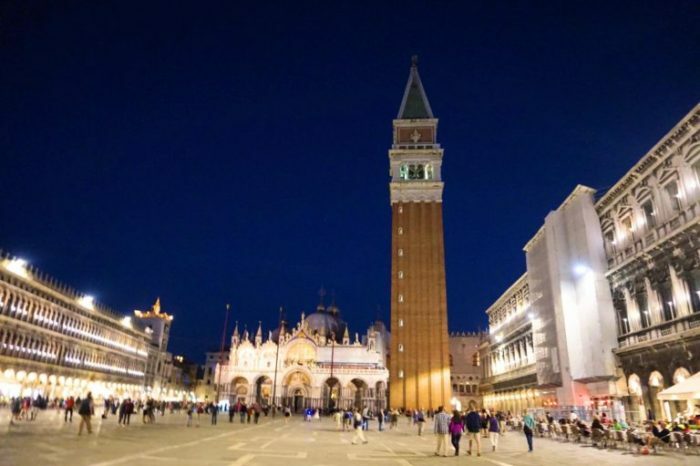 Your first stop in Venice is likely to be around Piazza San Marco (or St Marks Square as its known in English) and both the square and it’s pier are very busy!! One of the reasons it gets very busy here is from the queues going into the Basilica, Palace and Bell Tower so it’s best to go before or after these attractions open, aka early in the morning or in the evening (it’s very pretty in the evening too!) and to be honest it’s best to take a few photos, take it all in and then leave! St Marks Square reasonably quiet at night. As I said at the start, the best thing to do is to get totally lost! I’d heard this from a few bloggers and read it on a few blogs and after going myself I realised that this is totally true! I’ll admit that I find it hard to get lost because i like following a map and knowing where I am on a map but for my first 4 or so hours in Venice I literally didn’t check the map on my phone to check my location and it was great! If i saw a cute street or lane then I took it, if i got to a dead end (most of the dead ends are basically streets leading straight onto the water) then I backtracked and took another street instead and actually, I found that in those 4 hours I didn’t go back on myself or circle round to somewhere I had already been which I found really crazy but also really good! It’s also worth remembering, as I said, that Venice is quite big so why not take a Vaporetto around the island and get off at a random stop away from the ‘centre’ of Venice (basically the San Marco area) as this is where a lot of the residential areas are and hence a lot quieter as well as having a totally different vibe! 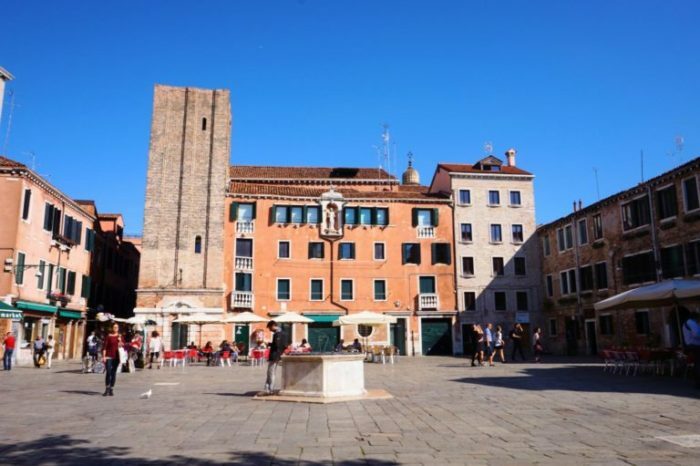 Another way to help avoid the crowds in Venice is to check out the squares. I was actually really surprised by how many little squares there were and they were all reasonably calm. A lot of them had benches in them where you can sit and watch the world go by and most of them had cafes and restaurants and around them if you fancy sitting outside to have lunch or a coffee and overall I found them very calm and peacefull! Although a lot of people have the same idea, it’s also a good idea to get away from Venice Island because Venice isn’t just Venice Island, you could pop over to Giudecca which is where I stayed, there is a lovely walkway by the water which looks out over to Venice Island and has restaurants a long it. 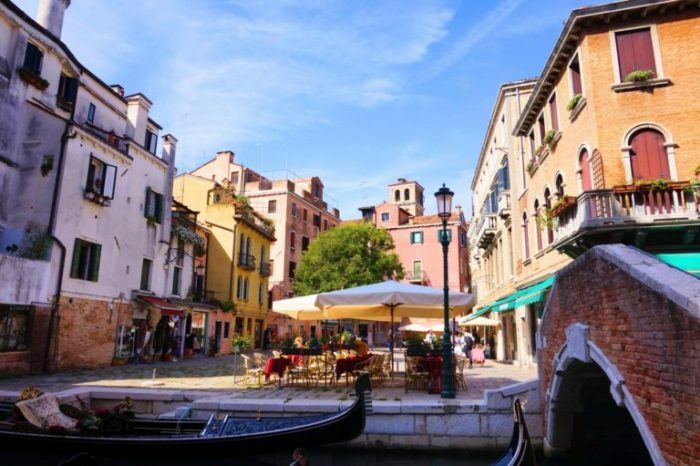 Or you could go over to the popular Islands of Murano or Burano! 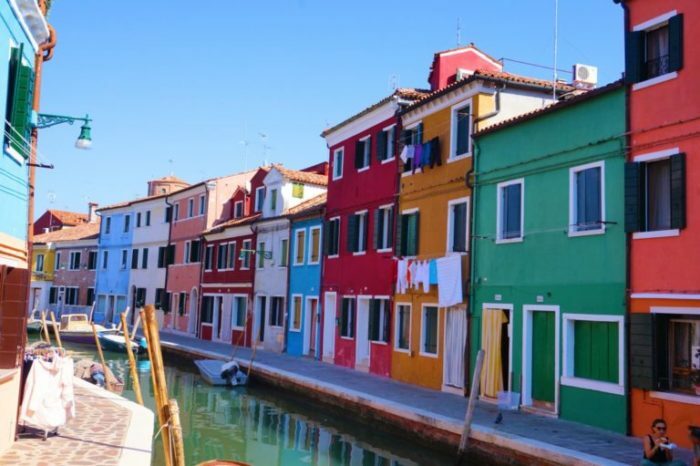 I spent a few hours in Burano and loved it. Another great way to avoid the crowds in Venice is to go out of high reason so if you’re flexible with when you can visit Venice then I would suggest considering visiting in Autumn, Winter and Spring as it will be considerably quieter then than during the summer and although I can imagine the wind off of the sea can get quite chilly I think it would be lovely to be bundled up exploring the streets in the cold and popping into cafes for a fix of Italian food and drink to warm you up. Venice really is a dream place. I absolutely loved it there and cannot wait to go back again. 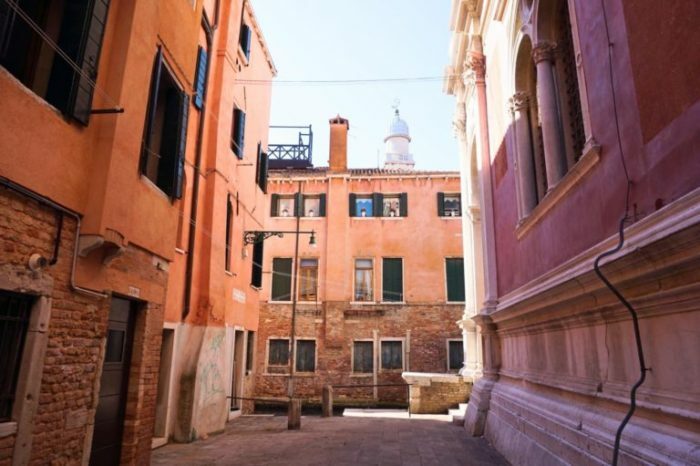 I had heard mixed reviews and opinions but of course the only way to find out is to go yourself and I hope that by doing the few things I’ve mentioned above you’ll have the best, crowd-free experience in Venice! Hello, I'm Ellie! I’m 28 and I’m from England. I'm a self confessed travel addict trying to see as much of the world as possible.